Danica Patrick (born 25 March 1982 in Beloit, Wisconsin), is an American athlete in auto racing. She is the only woman to win the IndyCar Series race, and holds the highest finish (3rd place) for a female driver in the Indianapolis 500. Danica is famous for her GoDaddy commercials, and is the face of OPI GelColor campaign. 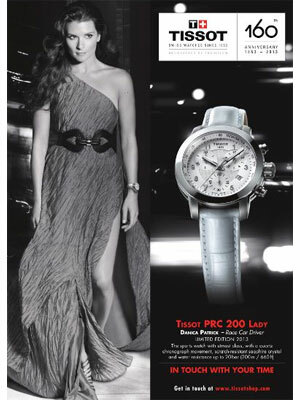 She is a brand ambassador for Tissot.